We had multiple teams on a hot streak tonight! Many kept a perfect game going throughout most of the quiz and we even needed a tiebreaker for both 1st place and 3rd. The teams who didn't win the tiebreaker will forever have the population of Australia burned in their memory banks. It was 23.4 million in case anyone reading this was wondering! 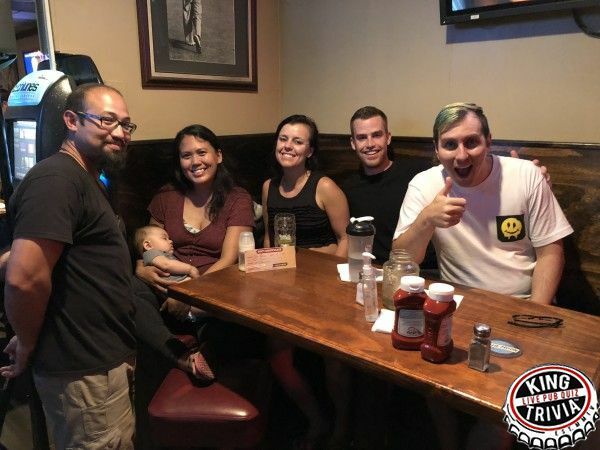 Team Know Worries (who typically never makes excuses since they're not worried about the standings anyways) blamed losing the tiebreaker due to the quizmaster's kid sitting at their table. What a distraction! He was supposed to be a ringer, but at only 6 months old it turned out his knowledge was pretty limited. There was minimal bloodshed, but so much brutal competition nonetheless! When I Say Trivia You Say FUN, Sparkling Dancing Unicorns, Quiztopher Walken, and Team Plutonium all duked it out for the third place prize with 57 points each, but ultimately it was When I Say Trivia You Say FUN that came the closest to guessing Mel Brook's Emmy nominations. We're Fine Everything's Fine knew their Winnie the Pooh and theme parks well enough to double down, so they came in second. Zach Attack knew about "me," and their car brands enough to also double down, and they ended up taking home the gold. 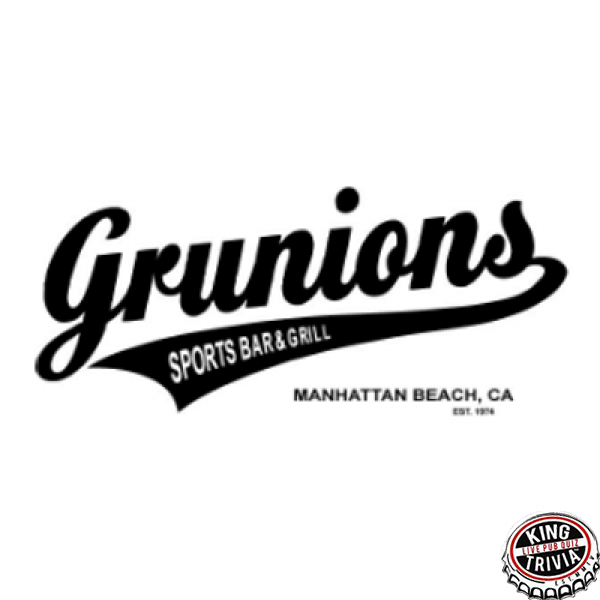 As it was my first time at Grunions, I felt the love -- but it was obvious everyone still missed Ryan. Hurry up and come back, dude!